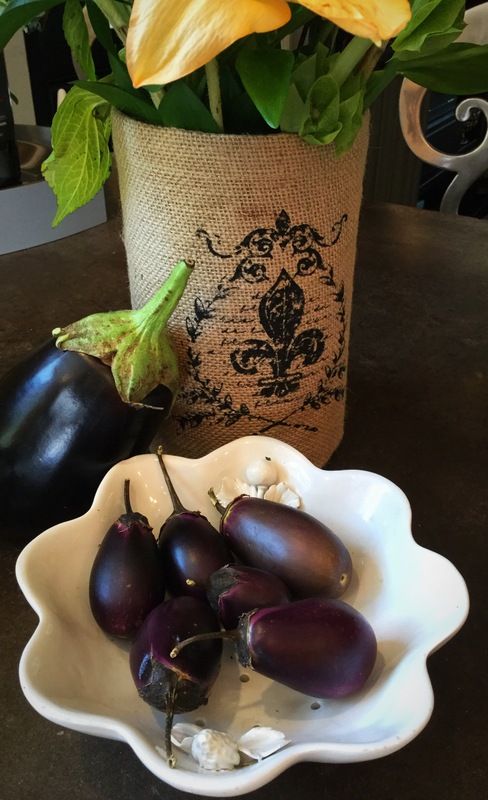 Recently we were the ever-so-grateful recipients of some beautiful baby eggplants. 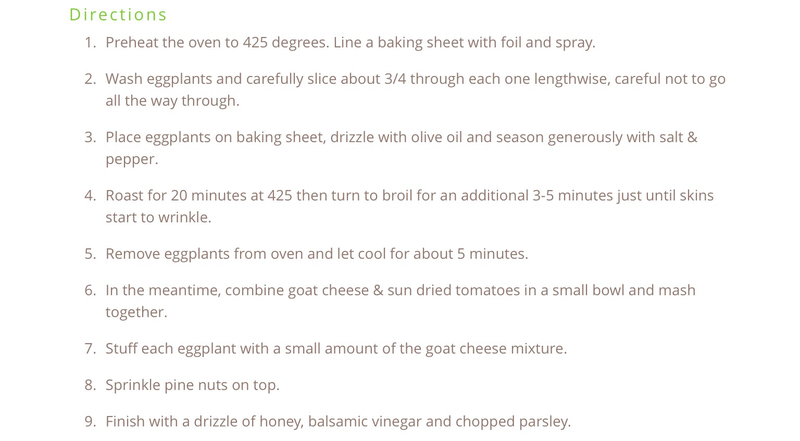 Now we are on the novice side of cooking eggplant, but we’re game to give it the old college try. 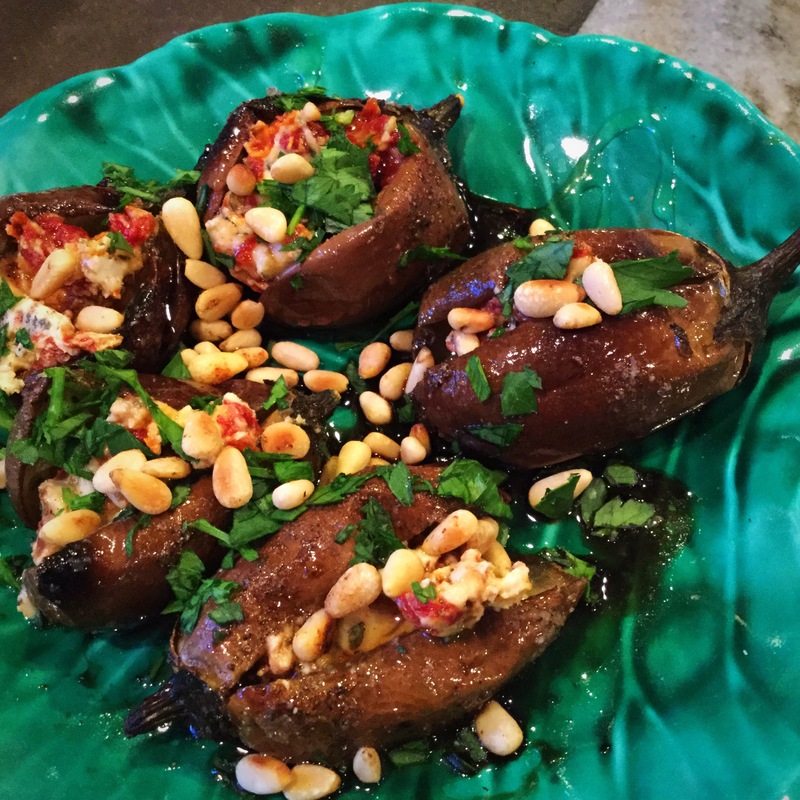 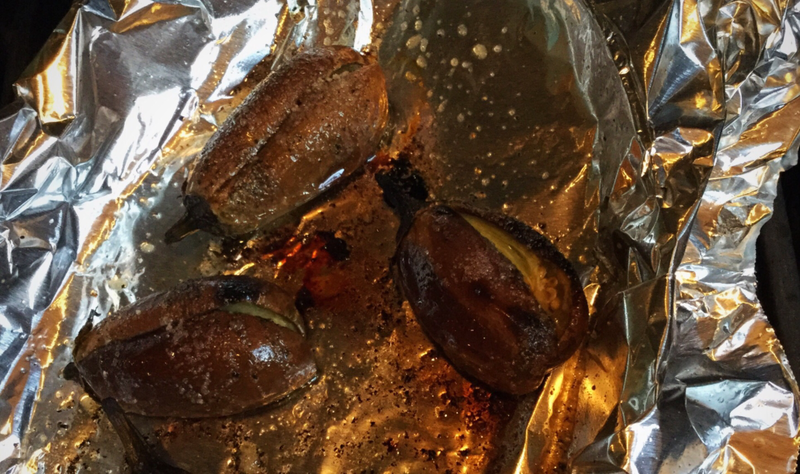 After a little research we found this recipe for roasted baby eggplants stuffed with goat cheese. 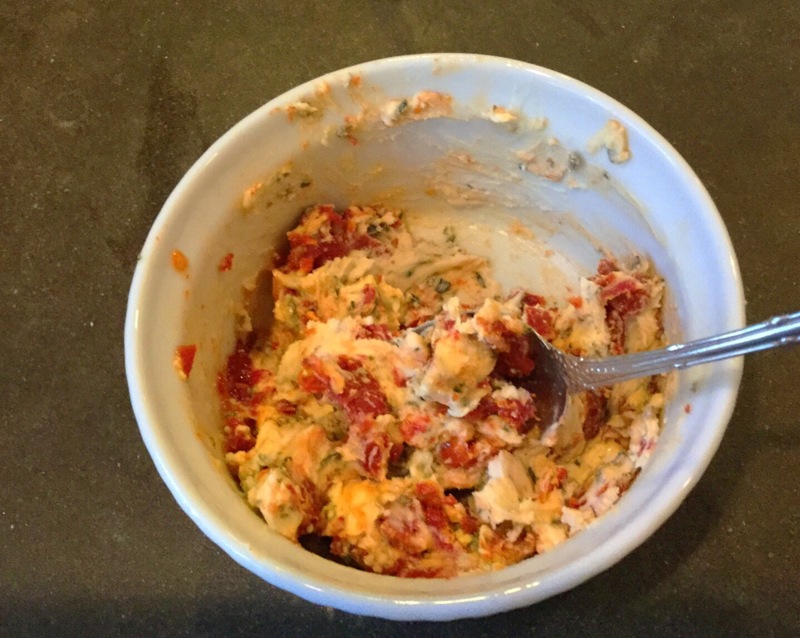 We have to say we gave this recipe (and ourselves) an A+ for ease, flavor, and presentation.